Folks, this is so cool, it's freakin unbelievable. I stumbled across this video on the www, pretty much by coincidence (I`m a liar, off course I searched, and this time I found). It is one of them news reels from way before the TV was invented. People gathered at the local cinema all across the country, some guy (or girl) played the piano while the machinist operated the movie projector, all of this to see what was going on in the country. 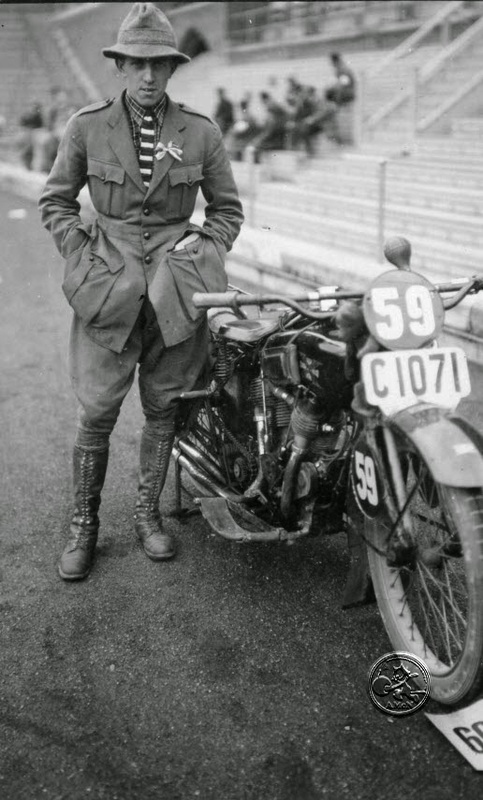 When folks sat down for this film, they would see clips from the 1923 ISDT endurance run held in Sweden and Norway. The biggest motorcycle event that had ever taken place in those two countries until then. 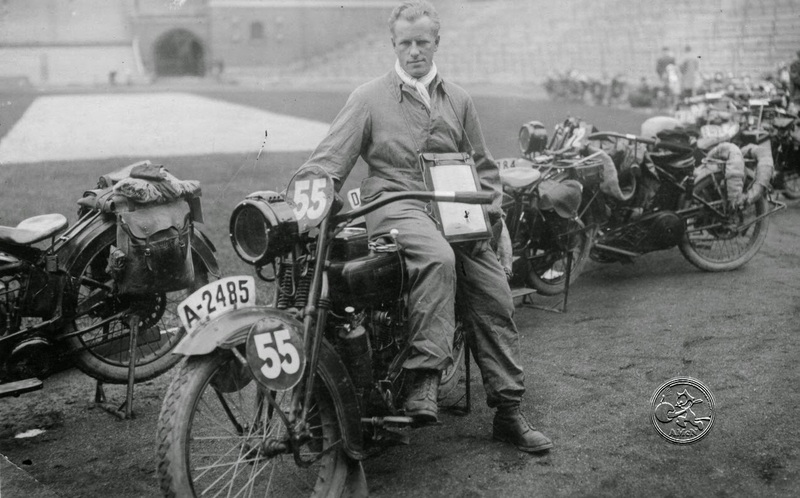 An event where several European countries sent their best motorcycle riders to fight for medals and honor, and not to forget this was an event where the major motorcycle factories could show the consumers why they should chose their brand. Whilst I look at this movie, I see a lot of faces and motorcycles I know from my photo collection. It is so cool to see people since long gone suddenly be alive, not just posing at a picture. Oh, I should not forget to mention this movie is shown at this blog because I got valuable help with the catch and the conversion from my internet friend Lars aka the Brokenspoke at the "thepowerslidingsidecar" blog. I will when time allows, let you know whom I recognize and what bikes we see in the film. OK OK here are two guys whom have been presented on this blog before, as have the pictures too. It`s swede Helmer Petterson and my compatriot Ernst Vaumund. The first a famous Exelsior rider. The second, Harleys best man in Norway for years. When you look at the ISDT movie, watch out for them, they are there! Both pictures shown are captured during the 1923 ISDT. Jeff I agree. It is so cool to see this stuff "alive" rather than photos. Will look for more of the same.